Wake up if you have been taking dental care lightly. Because, your body might be at risk. 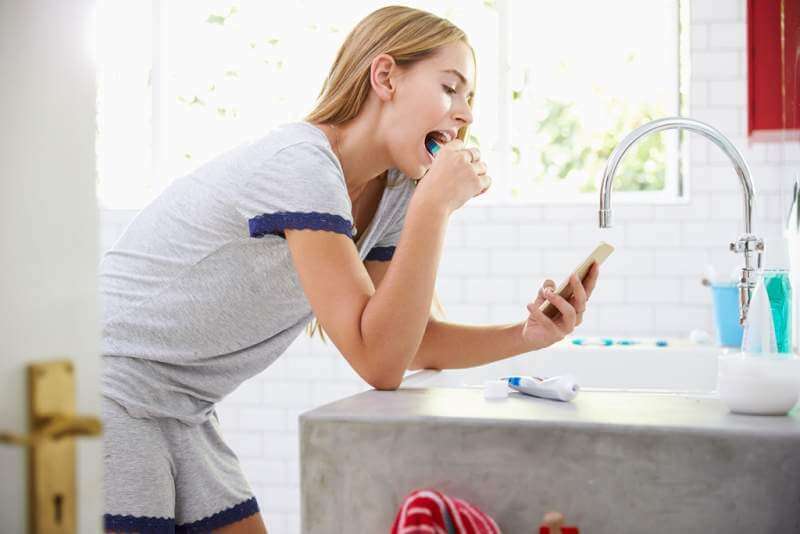 Studies have confirmed how poor oral care has linked to a variety of health concerns, including heart disease, dementia, diabetes and strokes in extreme cases. Your teeth and gums are sensitive, and you have to tend them better. Even your overall appearance and personality will depend on the kind of teeth you have. After all, a great smile is not possible when your teeth are stained or discolored. Dental care is extremely important in leading a healthy life and you should never ignore that. Without daily brushing, you can never expect your teeth to be healthy and disease-free. Your daily brushing can keep away foods, plaque and bacteria to make the teeth healthy. Dentists recommend brushing twice a day, once in the morning and then before going to sleep for great results. They also advise people to rinse their mouth after every meal, if possible, so that nothing is allowed to harm the teeth. More importantly, the brushing should be gently, thorough and in a zig-zag manner to affect all parts of the mouth and teeth. You have to brush at least 2-3 minutes per session and use a soft-bristled brush for maximum cleaning. The brushing you do daily may not appear a rocket-science, but its nuances are often missed by most people. First of all, you need to go gentle on the teeth, you don’t have to rush through the act and you must not start brushing from the same place every day. Similarly, dentists recommend using a fluoride-containing toothpaste to minimize cavity risks. You should also consider using a mouthwash with right ingredients to not let water scrub away benefits easily. You also have to avoid brushing till 20-30 minutes after consuming acidic foods or drinks. You need to change the toothbrush every 3 months so that the risk of enamel erosion can be minimized. Many people do the mistake of just brushing their teeth and assuming that the job is done. Well, the job is only half done unless you include flossing and tongue-cleaning in your daily oral care schedule. 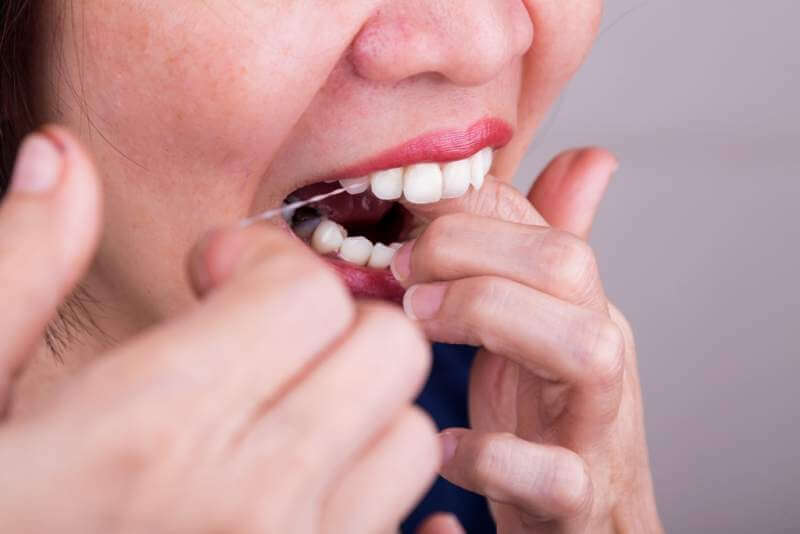 When you floss, it helps take out even those food particles, plaque and bacteria from between the teeth that your toothbrush can’t. Daily flossing complements brushing perfectly, and both are important in cleaning the teeth perfectly. In the same way, your tongue is where the most bacteria live and thrive, and not cleaning it is definitely a risk to the body overall. You can use a tongue scraper, or use your toothbrush itself, to clean the tongue and not allow harmful bacteria to enter the bloodstream and cause harm to different parts of the body. Healthy teeth is not possible unless you quit smoking. Tobacco products in any form is bad for your dental health. They have hundreds of chemicals not only bad for teeth and gums, but also for the entire body. People who smoke are at a greater risk of stained or discolored teeth; they are also more likely to face gum problems leading to weakening of the tooth structure over time. In fact, smoking may also increase the risk of cancer of the mouth, tongue, neck, gums etc. So, if healthy teeth is your priority, the first goal should be to cut back on smoking gradually and start leading a healthy life. 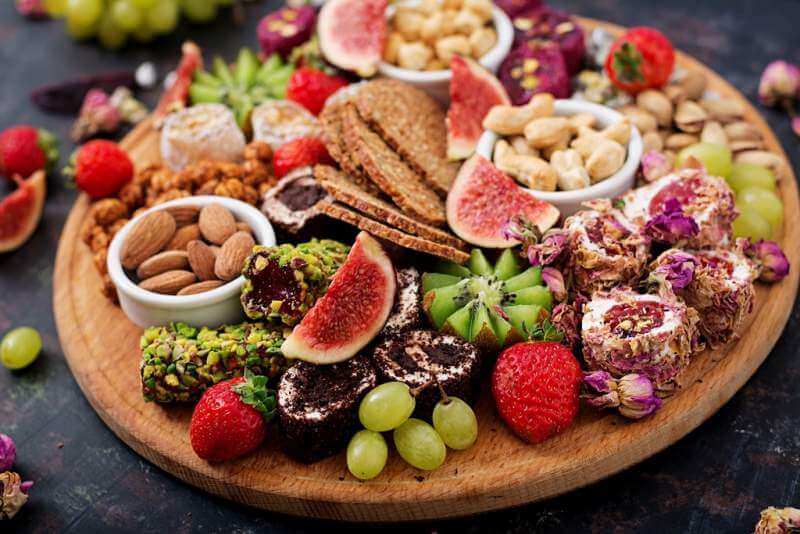 Your food choices will have a huge bearing on your dental health. If you can’t limit sugary or acidic foods, you should better forget about having healthy teeth. Any food or drink rich in sugar can harm your teeth greatly and you have to understand that well. In the same way, ready-to-eat foods are also not very helpful for your teeth. Rather, you should start eating fresh and crunchy foods, fruits and vegetables for dental health. Your diet should include apples, carrots, nuts, almonds, leafy green vegetables etc. Eating more of food items that get the jaws working can help you maintain healthy teeth. Water is definitely an elixir of life. Its significance to your overall health is undebatable. You can ask any top dentist who will recommend drinking more water daily for health teeth. You can drink them after every meal, in the morning, before hitting the bed, and as and when the mood strikes for great oral health. Water keeps your mouth hydrated, so the risk of bad breath is cut down drastically. More so, you can also be sure about washing out ill effects of acidic foods and beverages. This is why water is so precious to you. If you want healthy teeth, it them becomes important to visit Mineola dentist twice a year. 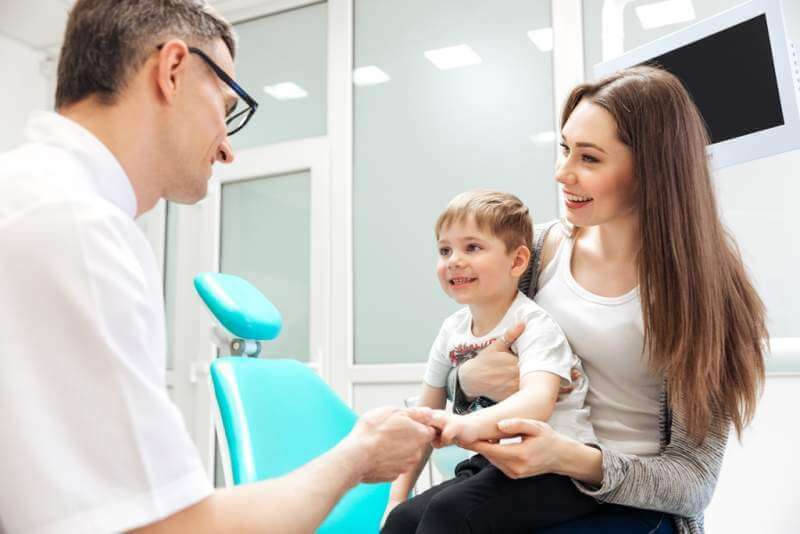 This will help you get dental cleanings, dental check-ups and oral exams to spot any problems at an early stage itself. This is how you can stay on top of your dental health and keep dental issues away. The dentist can also advise good oral practices which you can implement in daily schedule and make your teeth as healthy and whiter as you always desire. Mohammad Rashid is a professional dental blogger sharing information related to teeth and gums and their diseases. You can find the blog interesting and may benefit a lot. You can also find on the blog how a Mineola dentist can help you further in maintaining dental health.